Oodles of incoming traffic each day is great – but what do you really make of it? How many of your visitors are converting within their first few visits? Your Google Ads advertising budget is justified only if it’s leading to real conversions, and for real conversions to happen, you got to build a stellar website first and start advertising second. You cannot be wearing a Versace suit if orange ice candies are what you sell! In much the same way, the appearance and feel of your website have to be in sync with what you are selling and to whom. Spending hundreds of dollars on designing a website will not do you any good if you haven’t first taken into consideration what emotions the design must generate. 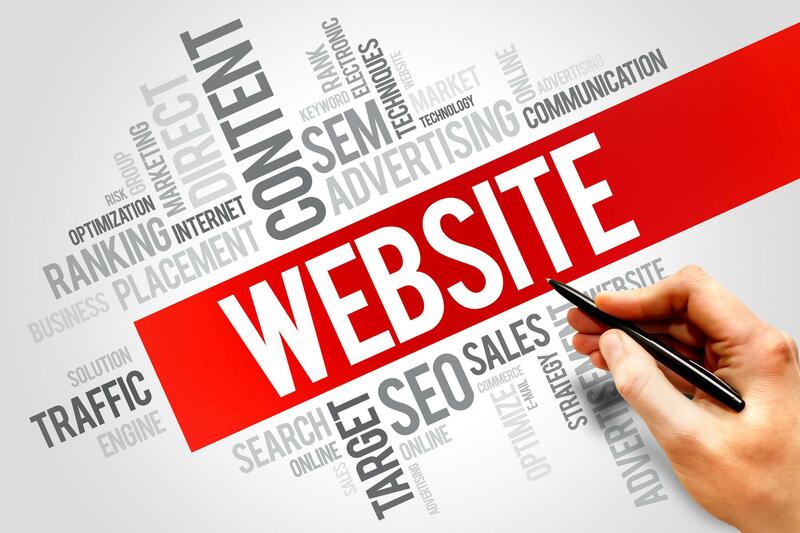 For your website to be a hit among people, you need to study your audience demographics and their preferences before you come up with a design that resonates with them; and for getting that right, you need to find an experienced & professional website design company like Pat’s Marketing, that makes sure your website aptly reflect your business and your clients’ expectations. Most new people would hire you or buy your service based on your previous accomplishments. Therefore, it’s essential for any professional or company to make their portfolio readily available on their website, preferably on the landing page itself. The more visual you make it, the better it will be at forming a quick first impression on a prospective client. Besides a demonstration of skill, a new potential client wishes to know about your work ethic before he outsources a project to you. Reasonably enough, he wants to know how transparent you are, how strongly you adhere to deadlines and how accessible you are during the project. There is no better way to answer her questions than to ask your existing clients to vouch for you. You must ask for testimonials and reviews and place them on your website in a prominent space. Make it easier for people to take action. Whether it be filling a form, dropping your email address, giving you a call, or making any sort of an inquiry, a visitor shouldn’t have to look around too much for completing the action. Making your phone number easily visible, and putting up a short contact form are a couple of steps for making your website actionable. Advertising copy is the soul of a Google Ad. Making your ad visible to large numbers of people will fetch real results only if these people have a remarkable copy to land on. The content here should be terse, actionable, informative, and engaging. And just like the look and feel of the website, it should reflect your business type and your audience’s personas. For example, the tone of a holiday resort’s advertising copy has to be different from that of an urban business hotel’s; while the former must use evocative words and dreamy descriptions, the latter must keep a slightly more formal tone and focus on tangible details instead of fanciful ideas. The above pointers will help you achieve your target of running a Google Ads campaign with high ROI. At Pat’s Marketing, we understand the core of digital marketing and how a website fits into it. Let us handle the construction of your website and we will surprise you with how much the right website can do for your business! Along with a professional website, Pat’s Marketing can also help manage your Pay Per Click effectively. Contact our Internet Marketing Consultants today.